We are breaking for the March Break holiday. Have a safe, happy and restful time. Don’t forget to get outside! 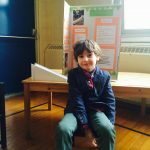 Science Fair is a Success!